This is a quick, easy, no frills dessert. It is best topped with some ice cream if you have it, but it will do for a lovely chocolate fix if that is your craving. Like all of my chocolate cake recipes this has less sugar than the norm. If you like it sweet add more. 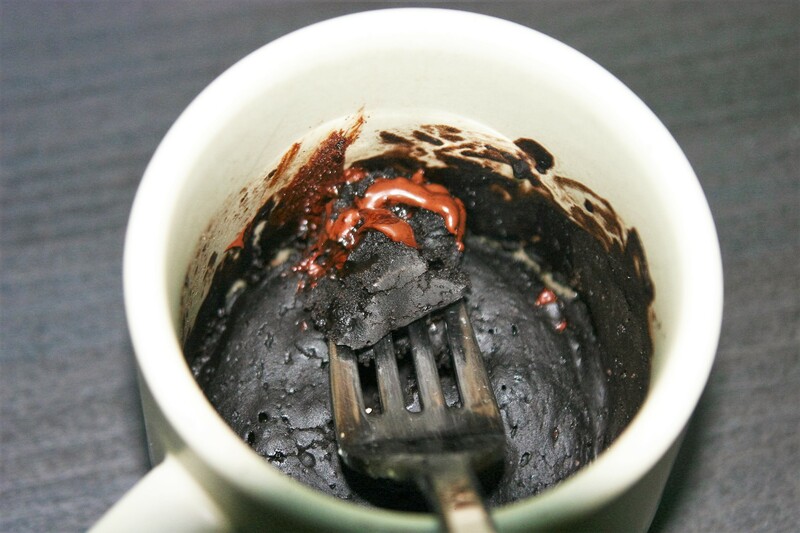 Mix the dry ingredients in a microwave safe coffee mug with a fork. Stir in the wet ingredients and mix until combined. Microwave for 1-2 minutes until the cake is dry on top. Eat immediately, topped with ice cream if you have it.